Self-contained oil system with adjustable flow control. 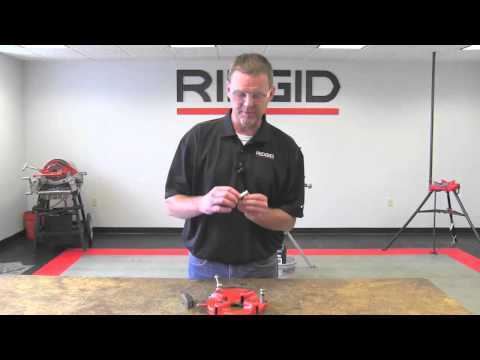 Versatility for threading and grooving. Pipe Capacity 1/8" - 2" (3mm-50mm). Bolt Capacity 1/4" - 2" (6mm-50mm). Motor Control Heavy-duty rotary forward/off/reverse and integral foot switch. Chuck Hammer-type with replaceable, rocker-action jaw inserts. Oiling System Through-the-head, with integral oil reservoir with self-priming, constant-flow, gerotor pump. * 20 AMP, 115V circuit required. Model 300 Compact Threading Machine is rated 4.9 out of 5 by 10. 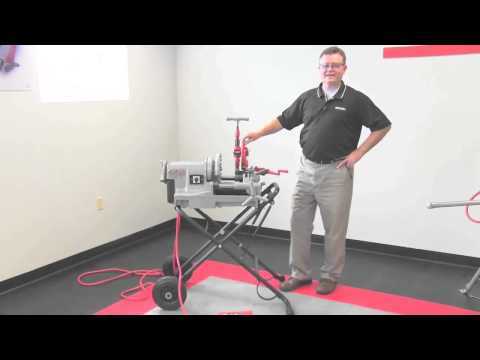 Rated 5 out of 5 by POK04 from easy to use I have had and USED this machine .It very easy to use. I would recommend this product to anyone wanting to get it. Rated 5 out of 5 by MVpAce from We especially enjoy the portability. We went from (and still own) the model 690 portable on all our smaller jobs, although a very robust and easy to manage tool it becomes tiresome with all the details of clamping, cutting and threading. The 300 compact has reignited our passion for pipe threading with its ease of use. The only draw back is during transport the sump leaks oil in the vehicle. Not sure if we are missing some details, we believe we are inserting the sump blank off plate properly. We have tried elevating the handle end and oil still finds it's way onto the floor in the Van. If this is the only problem we experience I am certain we will fabricate a nice support stand and call things good. Rated 5 out of 5 by tapout6 from Excellent portable machine for the price! 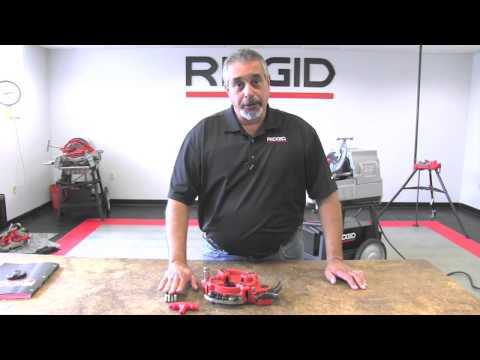 Great machine in a compact package made to be moved around and used in the field with ease. 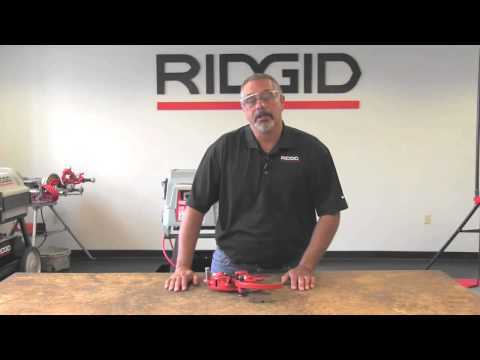 Rated 5 out of 5 by Dougie from Construction Superintendent We are an Industrial Refrigeration contractor and have used Ridgid piping equipment exclusively since my apprentice days.... some 41 years ago. Your product lines have come a long way since the drop head die and ratchet era. 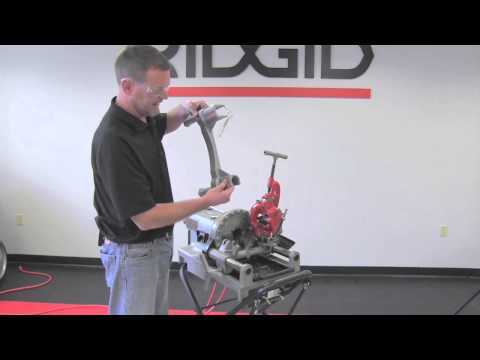 All our power vises, tripods, chain vises, pipe wrenches, dies, cutters and reamer continue to be Ridgid, our only choice in tools for our industrial market. To be honest, we've never considered using anyone else's product. Keep making high quality equipment.. Rated 4 out of 5 by ajames from a great machine, except for the plastic parts that easily get broken due to their location on the machine. for example the forward/reverse switch has been replaced about 3 times, the power and foot cord are forever coming out of the housing. other than that it runs and works like a horse. Can I thread inside threads? Have recently purchased a Model300 power threader and was wondering if I can cut inside threads and if so what I need to do so? 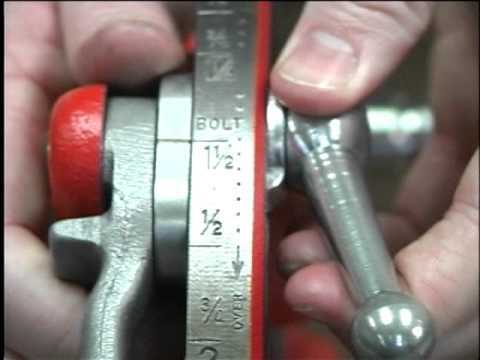 Page 12 indicates to grease the bearing through the two grease fittings in Fig. 13, but there are no specifications for the type of grease that should be used.